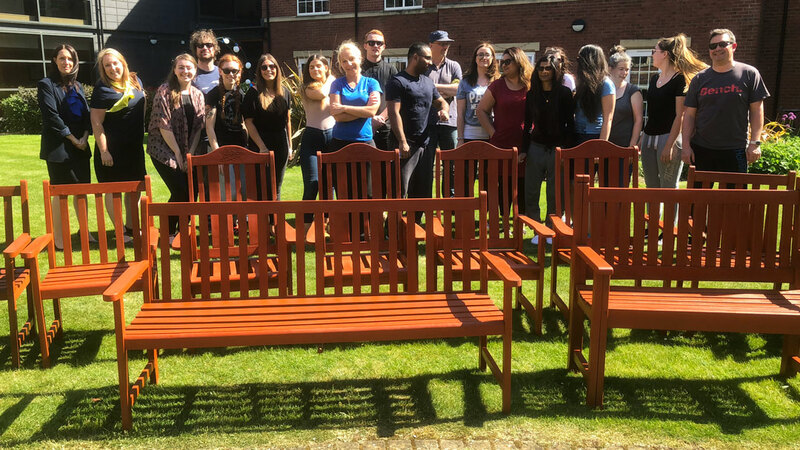 As part of a recent training and development day, the Instructus team ventured out to the Elm Bank Care Home in Kettering for a true sweat and sawdust community activity. 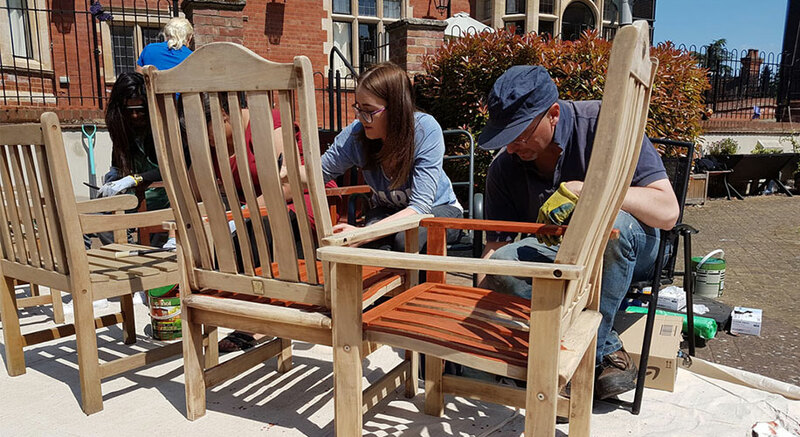 On May 22nd, in scorching heat, the team met at the Elm Bank Care Home in Kettering, managed by Brighterkind, to spend a few hours sanding and varnishing the home’s garden furniture. Over the course of the day the team refurbished 10 pieces of furniture in total, getting through several bottles of water and *one or two* pizzas in the process. The restoration project, which the whole team took part in (even just in the capacity of moral support), came about following suggestions from the team and the work of engagement officer Francesca Cardew, who liaised with Elm Bank to arrange the activity. “All of us at Elm Bank are delighted at the fantastic work that had taken place by the team from Instructus”, Home Manager Catherine Frost said.